Does Saving Historic Buildings Save Energy? 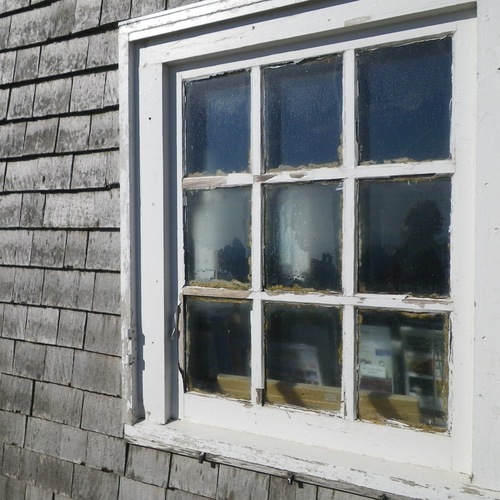 The preservationist wisdom is that a lot of energy — gallons and gallons of gasoline — is locked up in our historic buildings, and should be saved. It’s time to update that wisdom. After a major fire hit my town, my feelings about this post that equates a gas can with a historic building shifted a bit. 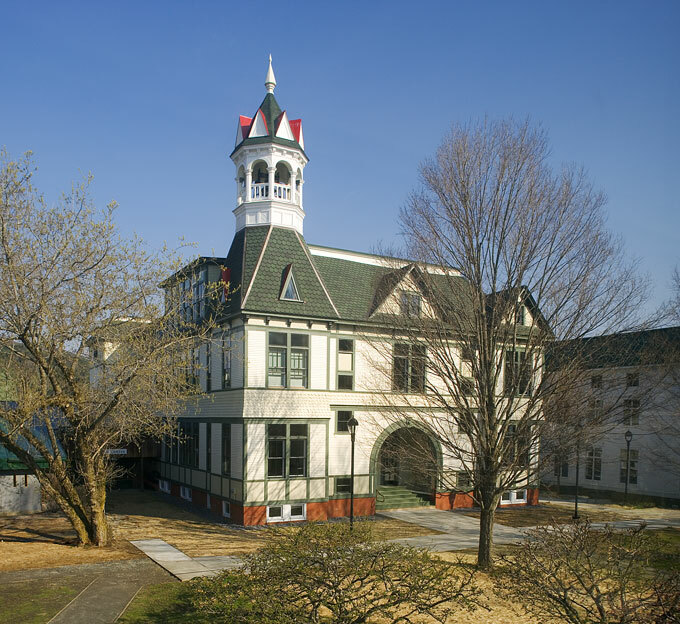 Image Credit: National Trust for Historic Preservation Built in 1893 and part of a National Register historic district in South Royalton, Vermont, Debevoise Hall underwent a major rehabilitation that made it relatively energy-efficient while employing historic standards. Image Credit: Photo: GBH Studios Built in 1871, the Brooks House in Brattleboro, Vermont was threatened in April by a major fire. A surreal magazine ad just got even more surreal for me. 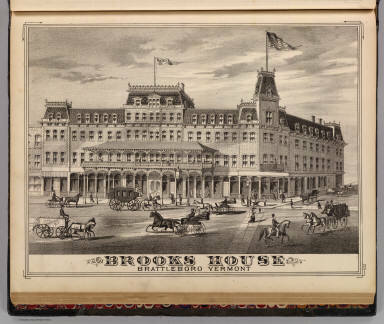 After learning of the fire at the historic 1871 Brooks House here in Brattleboro, Vermont last week, I quickly got to wondering: will the owner be put in the painful position of choosing to salvage a beloved historic property or to build new? Similar choices are faced with sad frequency in historic downtowns across America. The question brought to my mind an iconic poster from the 1980. The ad depicts a “jerry can” style gasoline can — red, rectangular, with a metal nozzle coming out the top. The surreal thing about this poster was that the gasoline can was drawn in the shape of an archetypal three-story, brick “Main Street” building, with a storefront below and offices and apartments above. The tall rectangular building becomes a tall gas can, with the red brick looking like the red metal can. The fuel nozzle sticks out of the roof. Believe it or not, this poster was run by the National Trust for Historic Preservation. It remains a touchstone today in preservation and green building circles. After seeing one of our iconic downtown brick buildings go up in flames, I had to ask myself, why would any responsible organization ever want to equate an aging building with an explosive, flammable fuel? Saving buildings saves their “embodied energy” — or does it? 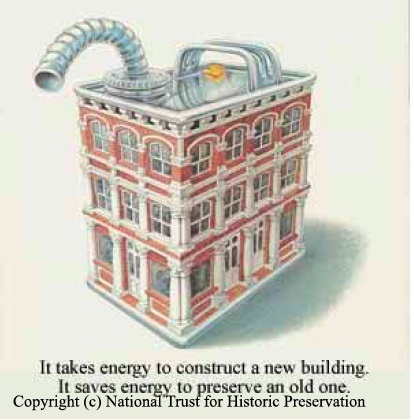 The answer is in the form of an argument often made in preservation circles that we should save historic buildings because of their “embodied energy.” The idea is that it takes a lot of energy to build a building. Firing bricks, sawing wood, making windows and doors and door hardware, trucking those materials in, and getting all the workers to the jobsite every day — all the ingredients in a building, and every step in putting those ingredients together, takes energy. That’s energy that we have to get from somewhere, most often burning coal, oil, or other irreplaceable fuels. The National Trust was arguing that saving old buildings isn’t just good for the historic fabric of our communities — it also preserves the energy value of the materials involved. I’ve heard preservationists go so far as to talk about how many gallons of gasoline are represented in each square foot of a historic building. I think it’s time for a new metaphor, and not just because of the fire. We should save historic buildings because they are beautiful and because they are important to the fabric of our communities. Relative to the environment, they are often located in central, downtown locations that are pedestrian and mass-transit-friendly. 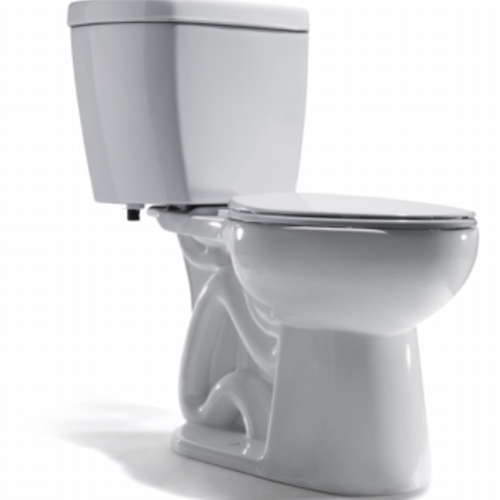 While they aren’t usually super-efficient, they are more energy-efficient than you might think. According to the quadrennial study of buildings in the U.S. by the Department of Energy (CBECS), buildings built before 1960 use less energy per square foot, on average, than buildings built since then. However, when it comes to the energy expended in the 19th century to build that structure, that’s not a good reason for saving a building from demolition — it’s water under the bridge. Energy spent 2, 20, or 200 years ago to build a building simply isn’t a resource to us today. The real question: Does reuse conserve energy today? On the other hand, energy that we might use today or in the next 100 years is a resource that we need to conserve. A better way to look at the issue is whether reusing buildings can save us energy compared with demolishing and building new. Given a choice between reusing and starting fresh, which process will use more energy in construction? Once a building is operating, which building will use less energy to operate — the reused building, or the new one? How do the financial costs compare? If energy is saved, but at great cost, is it really worth it? These are questions any owner should ask if faced with that decision. Let’s take a scenario where it costs us extra energy to build new, but saves us energy in terms of operation. How many years before the energy we save during operations makes up for the extra energy spent during construction? If that point is decades down the road, then perhaps we’d be better off reusing the historic building and putting our energy elsewhere today. Only by really thinking through these questions can we decide if saving a historic building really saves us energy. These analyses can get complex and emotionally laden, so it’s fortunate that the National Trust is working to update its story using life-cycle assessment (LCA) methods that look at costs and benefits from numerous angles. The study, begun last year and expected to net results soon, should give us a good idea whether reuse makes sense, in several different typical scenarios. I’m hopeful that the study may help bridge a gap between the historic preservation and green building communities, who have sometimes clashed over the fate of existing buildings. Although plenty of middle ground has been staked out over the years, environmentalists have tended to focus on energy efficiency even at some cost to historic fabric, while preservationists insist that the “greenest building is the one that’s already built.” Both sides have a point, but each needs to learn from the other. These measures could be much more useful than “embodied energy” ever was. That’s because “embodied water” relates to agricultural and manufacturing processes for consumer goods being made and used today. Focusing on reducing that use, and making our goods more durable, would have immediate environmental and economic benefit. Another exciting development is the 2030 Challenge for Products, which was launched in February of this year. Recognizing the immediacy of the climate crisis and the large amounts of carbon emitted to make our building materials, the challenge calls for a 50% reduction in the embodied carbon of products by 2030. Because we don’t yet have reliable carbon numbers for building products, the immediate question is, “50% reduction from what?” Establishing baselines for different product categories will be a project taking several years, but I’m excited to see the results. Maybe we’ll even see an ad campaign that makes these abstract concepts more concrete. My advice: put down the gas can! If you want to read more about greening historic buildings, check out “Historic Preservation and Green Building: A Lasting Relationship” in EBN. What are your thoughts on saving historic buildings and their embodied energy? Let us know below. While this discussion could, and should, fill several books, I hope that someone takes into account the cost of new development and related infrastructure, not to mention the waste and landfill created by tearing down a historic building, or for that matter any building. Historic Buildings are generally in developed areas with power, water, sewer, roads and parking. Often the parking is "shared" in that there are common parking areas instead of acres of asphalt surrounding the strip mall designed for the one day of the year that the parking lot might actually be full. Development out in the present farmland requires new or additional roads, water, drains, power, and parking. It also generally requires that you drive and use all sorts of energy just to get to the building. Even if it is new in an existing area, there is still the direct and society cost of demoltion. Sure there are old buildings that are not economically or structurally viable and they will probably not be renovated and saved, but there are far more that could better serve society by renovation than by demolition. Hopefully the latest studies will prove this out but I am sure there will be those that will ignore any supporting information simply because it promotes what the National Trust for Historic Preservation is promoting. There is a far bigger cost than just that of the building and the embodied or operating energy it may use. I've done some calculations to answer your question, "Let's take a scenario where it costs us extra energy to build new, but saves us energy in terms of operation. How many years before the energy we save during operations makes up for the extra energy spent during construction?" Using the available data on embodied energy, I charted energy use of a 2,000s.f. 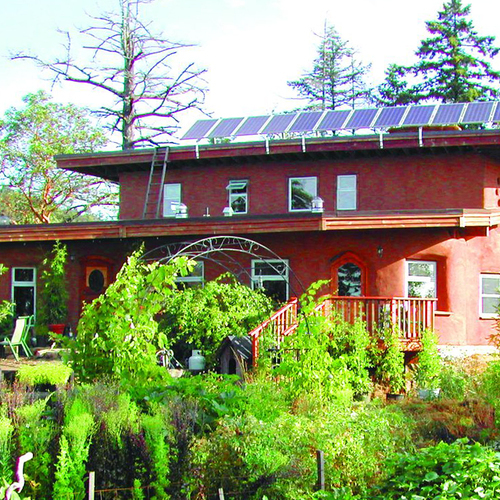 historic house not upgraded, the same house upgraded to 50% energy use reduction, and a new 2,000 s.f. Passive House. 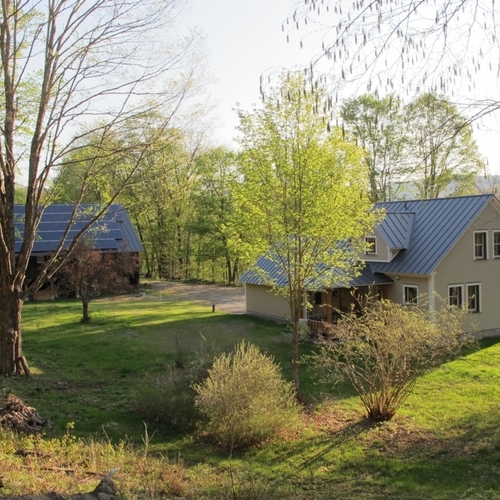 The Passive House makes up the embodied energy expenditures in only about 4 years; the upgraded historic house makes up its expenditure in about 10 years. The cost of building a new building does include the cost of all the energy that goes into it. But it doesn't include the environmental cost of the CO2 generated in all that manufacturing. The point of a carbon tax is to raise the cost of something if CO2 is generated in its manufacture. So in a cost analysis, preserving the older building will start with a cost advantage because a smaller carbon tax has to be paid since most of the building materials are already in place. As retrofit methods become more cost effective, this advantage may show many more buildings to be worth saving. 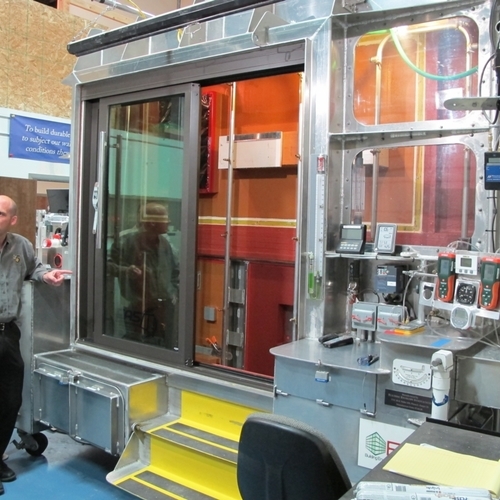 Robust, validated cradle-to-cradle LCAs seem to me to be the ultimate answer. I've worked with a small sample (15) of new and/or renovated single-family residential homes, and there are two insights that I've gained in the process of doing LCA's and following up with operational energy consumption. Many of the previous homes are from 1930's and later. Existing homes: Many of my models tend to substantially overestimate the energy consumption in those homes. New Homes: My energy models usually underestimate (sometimes dramatically) the energy consumption in these homes. 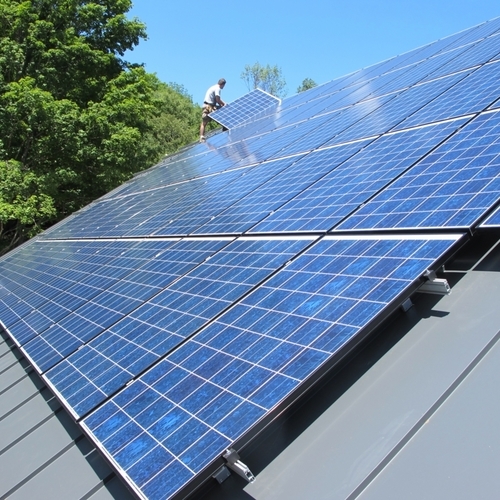 The most sobering is one of our Green homes, which was modeled to use half the energy of the previous home on the site, but is thus far measured to use twice the energy. Of course, there are many observations to make on the modeling process, which have been touched on in previous discussions. But one hypothesis that I would draw out is that new homes tend to invite people to install more energy intensive appliances, amenities, and lighting, and these are the elements which completely defy the modeling assumptions. And a side comment-- thus far, experiments in deluxe metering/monitoring systems and control systems have not been able to compensate in any meaningful way to reducing this consumption (I still believe in them wholeheartedly though, as they further enforce the responsibility of energy consumption on occupants). This Operational Energy (modeled and observed) is the key element which makes or breaks the overall LCA comparison between old vs. new. Thus far, the models which indicate that new homes should beat that wager are in reality losing. And the key factor is the people who occupy those buildings. 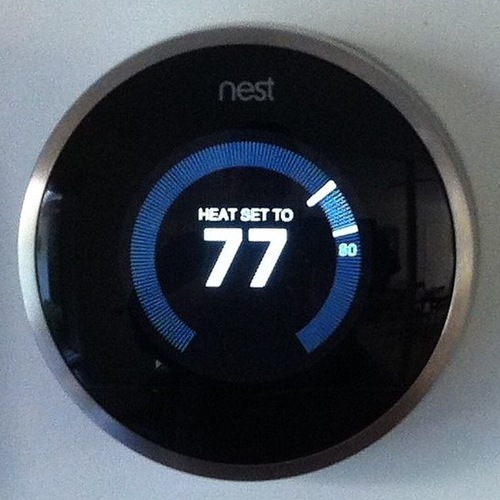 You touch on a very critical calculation about the ROI of energy saving decisions. I am very frustrated at all the ridiculous energy savings claims that if added together, would save a homeowner 3/more times their annual energy bill. I look forward to some realistic planning tools that offer a standard for evaluating which appliance or hot water heater to buy, windows vs attic insulation and more. It sounds like the solution will come from may different perspectives including those you've mentioned here. Your observations are astute and important. Thanks. Your comment, Lucas, brought to mind a session I attended at NESEA this year given by John Straube on the (in many cases large) impact that occupant behavior has on homes designed to high performance standards (I think the title of his talk was "When Zero Isn't Zero: It's the Occupant"). In my view, occupant behavior is a huge obstacle--perhaps one of the biggest--standing in the way of fulfilling on the promise of green building. Your hypothesis about why new "high performance" homes turn out to use more energy than predicted is quite intriguing. Do occupants in newly constructed green homes consume more precisely because their homes are high performing? Are they relying on the efficiency of their home to "make up for" all their electronic toys? Perhaps this is a case of the Jeven's Paradox, whereby improvements in efficiency lead to net increases in consumption. Lucas, I couldn't have said it better. I only have a couple more things to add. What I often find missing in LCA studies is the inherent uncertainty. I have strong suspicions that given how sensitive LCA results are to building/component service lives, design vs. actual energy use, and margin of uncertainty in embodied energy (and carbon) factors, the results can be easily skewed to favor either one. Thus I think although it is important to get decision makers to think in terms of LCA, when results are debatable, it is more important to focus on what measures can be taken with BOTH - (re)programming for more occupants per floor space, installing more durable finishes and equipment (and not scrapping systems before they are obsolete), making non-vehicular access more inviting, better documentation of as-builts and TI, training of facility management, and a myriad of other measures. When there isn't an obvious winner on environmental terms, let us simply preserve buildings because we love them and build new ones that we will love to preserve. I wonder if NTHP is reacting to the tragedy of seeing buildings torn down b/c people don't realize their merit in history, and replaced with crappy, characterless boxes. Perhaps they have found it easier to jump on the green building bandwagon than to keep trying to teach us how to love the history buildings hold. Beware of generalizations. Every case needs to be considered on its merits. There are often factors involved which have nothing to do with either historicity or direct energy usage and carbon concerns: as an example, with a commercial building project about ten years ago we were faced with a choice of better psf energy performance (teardown and rebuild) or better density (remodel and extend). The dilemma was forced on us by town ordinances which grandfathered the existing building for parking and setback but would have imposed suburban standards on new construction despite our downtown location. Economic and big-picture environmental factors both directed us to the latter path and I believe we chose well. But then I'd also like to add my support for Lucas', Frances' and Rachel's comments on the uncertainty of LCA projections, particularly on the anticipated longevity of the materials and the form factors of our new buildings today. Is there a whole lot of hubris going on? Is e.g. 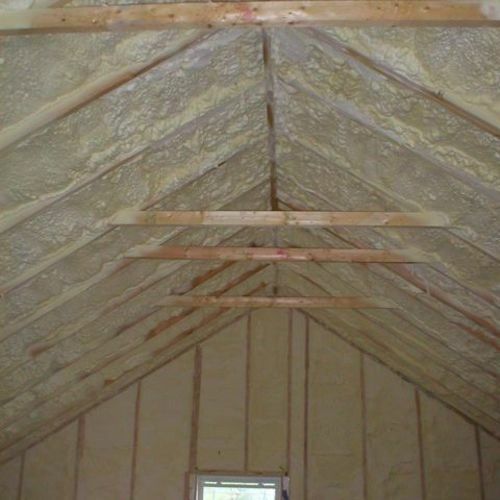 spray foam insulation going to be our generation's asbestos siding what-WERE-they-thinking issue? Will our buildings be as adaptable to the needs of the future as our historic ones are to the needs of the present? Are we even building in the right places? And in any case, is this not a false dichotomy, as GBA is regularly populated with stories of high-performance upgrades of older buildings as in the Colorado Chatauqua Cottages project currently listed? BTW, I was gratified by the sense of caution, humility and reverence, not hubris, shown by the project leaders in this article. Tom Basset Dilley (who lives around the corner from me - hi, Tom!) I presented an embodied energy study at Summer Study (ACEEE) about '84 comparing six flat that was renovated/superinsulated to demo/constuction of new 6-unit building to then-current best practices. I had the advantage of tracking detailed cost of the energy work within the renovation, and measured before/after gas use, for the six flat. Comparing this to new construction, including embodied cost of demo, yielded about 20 year energy cost recovery. I used Hannon, et al energy intensity data. I don't know if I have a copy of this study, and it was not selected for publication. Thanks again to developer Voice of the People. Rachel, I'm sure we would all love to attend Behavior, Energy and Climate Change Conference this week to better understand those pesky Occupants! Aligned with discussion, please let me know of studies to minimize embodied energy in construction. I have the notion that shell structures could provide equal strength, and superior energy performance, with 10 to 50 times less embodied energy than Babylonian materials that remain popular.